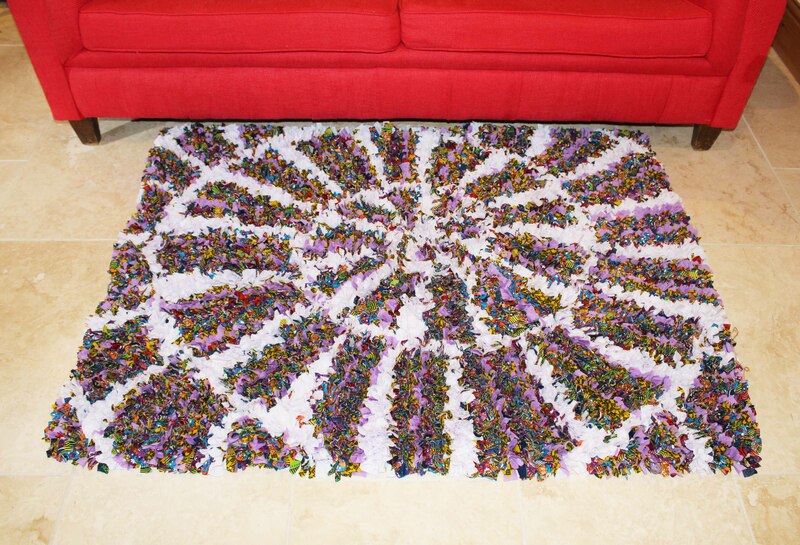 We are pleased to unveil that May’s Rag Rug of the Month is one of our absolute favourites… drumroll please… “Ammonite”. Inspired by the shape of ammonite fossils found in various seaside cliffs across the UK, this fabulously large rag rug creates quite the statement wherever you put it in the home. 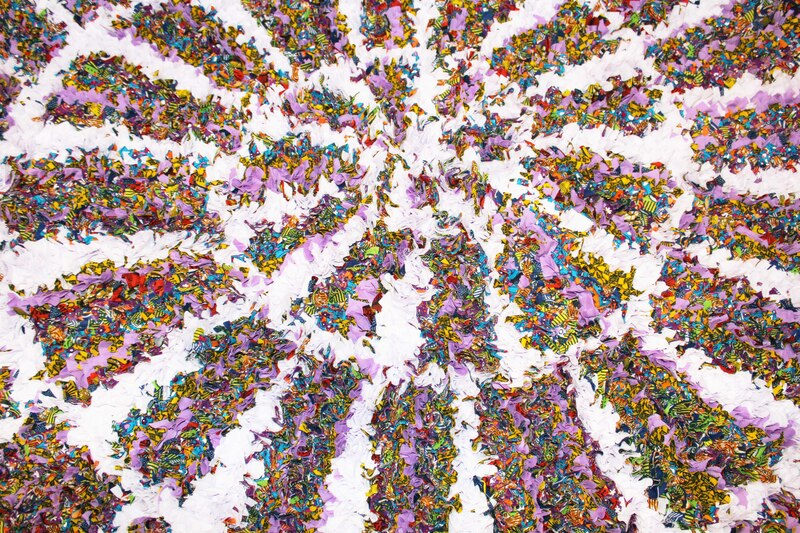 Made entirely from bright Ugandan prints, the colours meld together to create a neutral, yet complex piece that can’t help but mesmerise onlookers. We think it looks fab with our bright red sofa but what do you think? 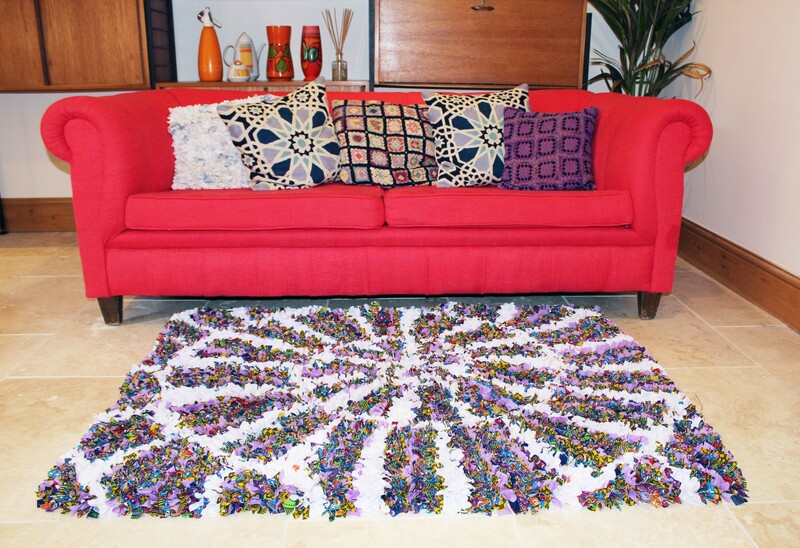 Our Ammonite rug is perfect for creating a statement in the living room. Up close it’s easier to see the individual Ugandan fabrics that went into making this gorgeous rug. From above you can see better the fossil inspiration for the piece. 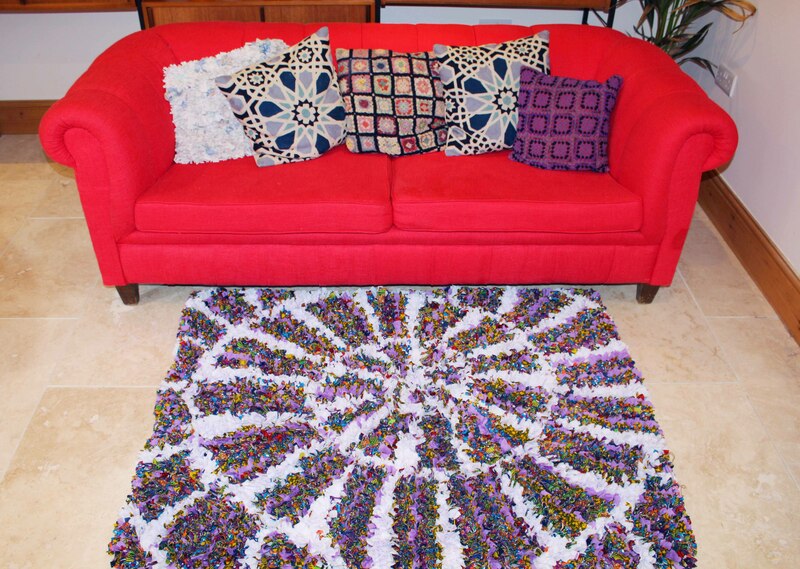 This entry was posted in Rag Rug Designs, Rag Rugs and tagged 2015, Rag Rugs, Shaggy Rag Rugs, Travel Inspiration. Bookmark the permalink.